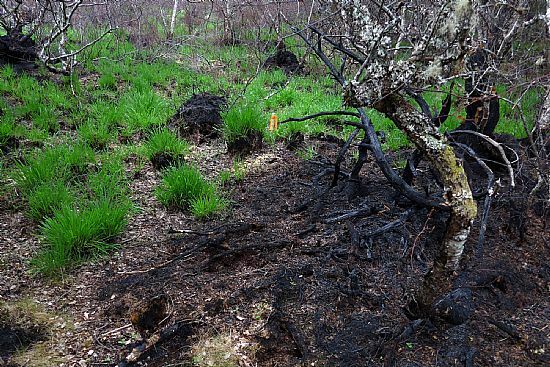 On 14th May 2016 a wildfire started in the Gearrchoille wood. 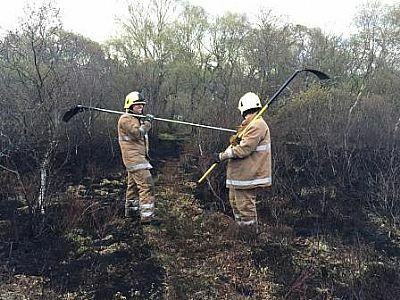 Thanks to the efforts of the local volunteer fire crew it was quickly brought under control but not before it had covered a sizeable area (about 200m x 100m to the SW of the pond) leaving it horribly blackened. 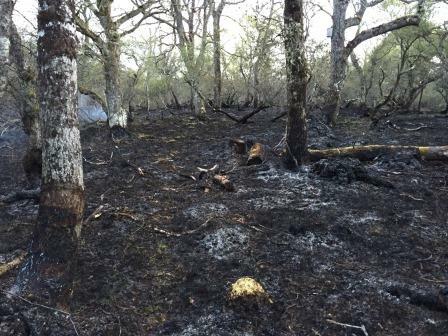 Despite being wet underfoot a week of dry sunny weather had left enough dry grass & twigs for the fire to spread rapidly. 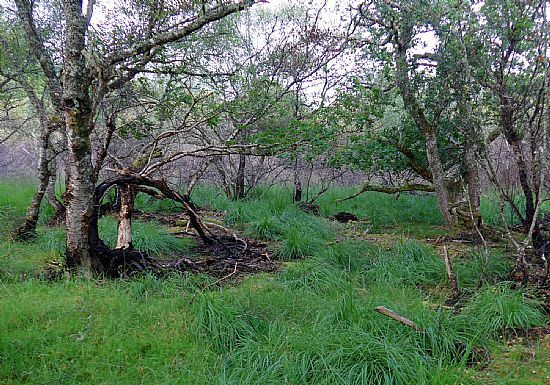 It really looked awful & despite reassurances that recovery would be swift, we were rather sceptical. 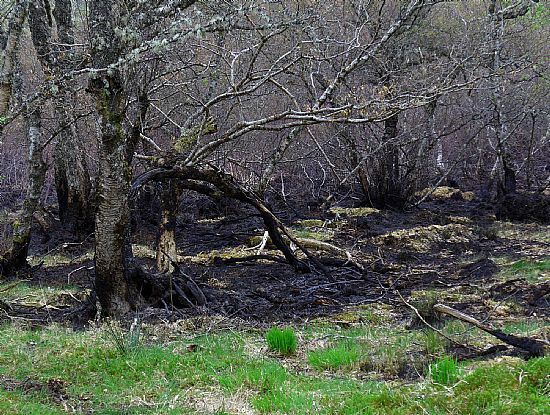 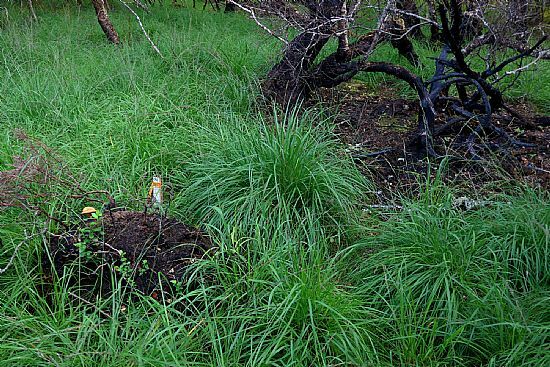 However, the green shoots soon appeared and within a few weeks even the blackened stumps of birch trees were showing significant regrowth.